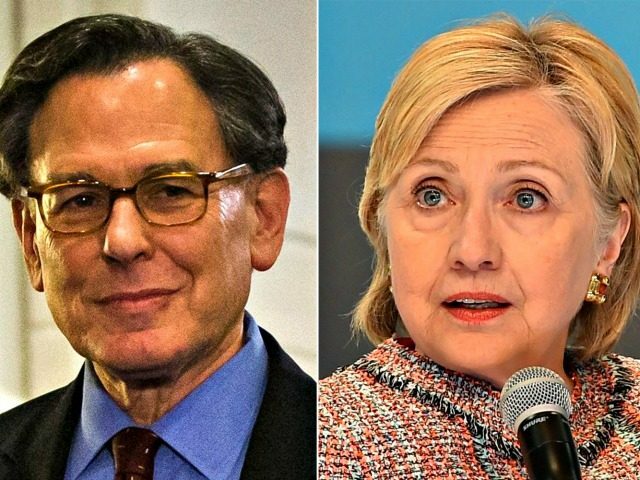 NEW YORK — House Intelligence Committee Chairman Devin Nunes (R-CA) has referred 15 individuals, including longtime Clinton confidant Sidney Blumenthal, for possible “open setting” testimony in the ongoing Russia investigation. The list was sent to House Oversight Committee Chairman Trey Gowdy (R-S.C.) and House Judiciary Committee Chairman Bob Goodlatte (R-VA). Many of the names are tied to the discredited anti-Trump dossier produced by the controversial Fusion GPS firm, which was paid for its dossier work by both Hillary Clinton’s 2016 presidential campaign and the Democratic National Committee (DNC) via the Perkins Coie lawfirm. Indeed, Perkins Coie attorney Marc E. Elias, who reportedly was involved in arranging the payments that resulted in the dossier, made the Nunes list. As did Fusion GPS co-founder Glenn Simpson. Nellie Ohr, who was allegedly employed by Fusion GPS to do anti-Trump work and is the wife of Justice Department official Bruce Ohr, appears on the list. Blumenthal’s inclusion brings the Russia probe remarkably close to the Clinton orbit. After his name surfaced in news media reports related to probes by House Republicans into the dossier, Jonathan M. Winer, the Obama State Department official tied to the Clintons, authored a Washington Post oped in which he conceded that while he was working at the State Department he exchanged documents and information with dossier author and former British spy Christopher Steele. Winer further acknowledged that while at the State Department, he shared anti-Trump material with Steele passed to him by Blumenthal, whom Winer described as an “old friend.” Winer wrote that the material from Blumenthal – which Winer in turn gave to Steele – originated with Cody Shearer, who is a controversial figure long tied to various Clinton scandals. Shearer also made the list of potential interviewees as did former Clinton campaign strategist Robby Mook. Besides bringing Steele’s dossier information to the State Department, Winer conceded in his Post oped that he also passed information from Blumenthal to Steele, specifically charges about Trump that originated with Shearer. Also making the Nunes list is Russian-born Washington lobbyist Rinat Akhmetshin, who attended the infamous Trump Tower meeting with Donald Trump Jr. and campaign officials in June 2016. Akhmetshin has been the subject of several Breitbart News exposes, including one piece about how he evidenced a larger relationship with Fusion GPS and the controversial firm’s co-founder Glenn Simpson. Breitbart News also reported that Akhmetshin said in testimony that he “knows” Hillary Clinton and has a personal relationship with her that dates back to the late 1990s. Akhmetshin further testified that he “knew some people who worked on” Clinton’s 2016 presidential campaign. Akhmetshin related a personal connection to Clinton via attorney Ed Lieberman, whose late wife Evelyn previously served as Clinton’s chief of staff when she was First Lady. Evelyn Lieberman also served as Bill Clinton’s deputy chief of staff and famously transferred Monica Lewinsky out of the White House to the Defense Department. In his testimony, Akhmetshin described taking an Acela train to New York the day of the June 9, 2016 Trump Tower meeting and says that Lieberman “may” have been with him on the train. After the meeting at Trump Tower, Akhmetshin says he went to dinner and a play with Lieberman, and the subject of the meeting that same day did not come up in his conversations at dinner or during the play. Akhmetshin also stated in the testimony that he was not asked to keep the meeting confidential. Akhmetshin is claiming that he attended a meeting at the campaign headquarters of Clinton’s presidential challenger with that challenger’s son and other top Trump staffers, and that same night Akhmetshin did not mention the meeting to his friend Lieberman, a Clinton associate. Besides ties to Fusion GPS and meeting a Clinton associate the same day as the Trump Jr. meeting, Akhmetshin admitted in his testimony to being present at the same security conference in Canada where Sen. John McCain was reportedly first informed about the anti-Trump dossier. He said he may have spoken to McCain and to McCain’s close associate, David Kramer, who went to retrieve a physical copy of the dossier that was subsequently delivered to then-FBI Director James Comey by McCain.